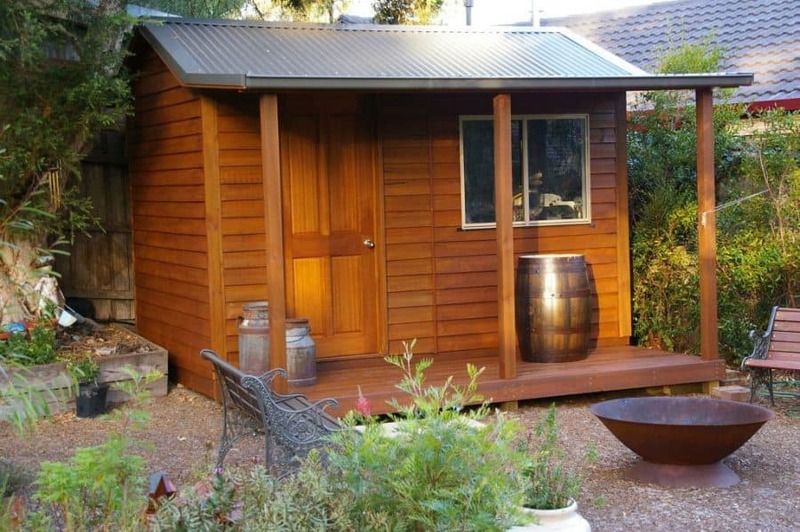 Backyard studios are becoming a hit with Australian homeowners. Without the need for a permit, you can add extra space to your backyard, away from the home to be used however you want. Some of the ways many are utilising their new studio space are incredible and really provide a great area to entertain or get some quiet time away from the house. Thinking of adding your own outdoor studio? We’ve got some design inspiration for you! Since backyard studios are separate from the main building, they provide guests with an excellent private space whilst visiting. Windows with a great view that offer natural light will reflect nicely on a light, natural wood interior complete with small closet and wooden furniture. 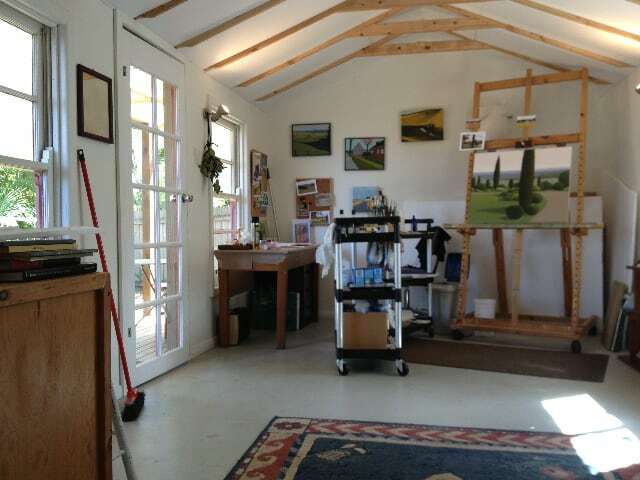 If you love to paint or create visual art in another way, then a studio can be the perfect place to do so. Let your creativity flow in a bright interior filled with natural light from a few windows. White walls are a great start for hanging art as it won’t clash. Place desks and other work areas strategically so the sun shines in and gives you the light you need but without shining in your eyes while you try to work. 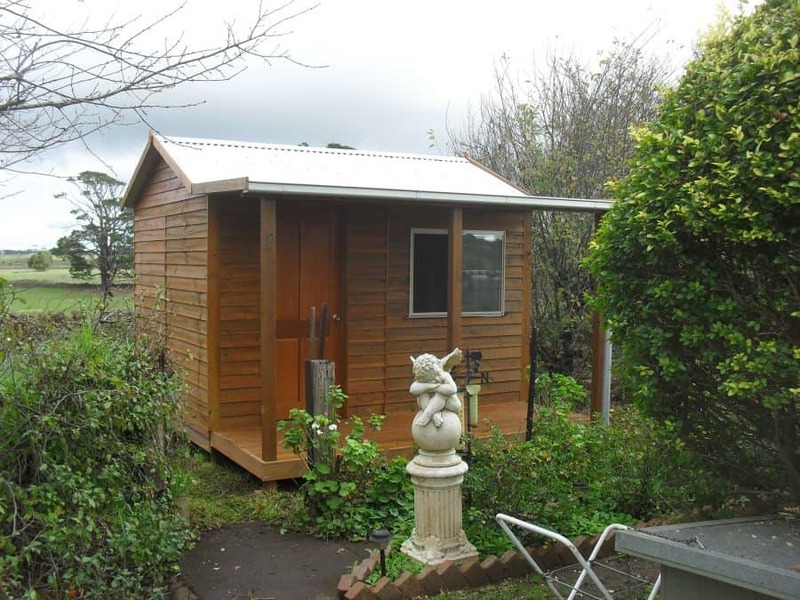 You’ve heard of the “man cave”, now meet the “she shed”, the ultimate mini-getaway for women. When you just need a break, you can escape to your own backyard into your studio. She-sheds can be as unique as the woman who creates it, but many tend to go for colours that are bright, yet relaxing, like light shades of blue and a shabby chic look. A small couch and a couple of chairs give space for a few girlfriends to show up. Add a small wine bar, a stack full of your favourite magazines and a book or two and you have your own peaceful area right in the yard. A backyard studio is the perfect place to get over that writer’s block. Big open windows for natural light will be great during the day as well as small desk lights just in case the creativity continues long into the night. Add a few chair options with different views so you’re not bored of sitting at the same desk with the same view. If you work from home but still have clients and other guests that you meet with, then turn that shed into what looks like the classic office. A glass front will make your workspace transparent whilst allowing a lot of natural light while it mimics the view of an office within a building, however from the comfort of your worn backyard. Add a desk and small couch/chairs for meetings. It looks inviting and professional. A large backyard studio can be a great home gym. Ditch the gym fees and fill your studio with the equipment you like to use. Add a big window to one side and a large mirror perpendicular to it, just as you would find in any other gym. Everyone will want to come to your house when you have a home bar. A dark natural wood interior makes for the perfect pub setting. Add a bar area complete with countertop to one side and a small table and chairs to the other. String lights inside for extra ambiance, giving the perfect lighting to a fun night at home. 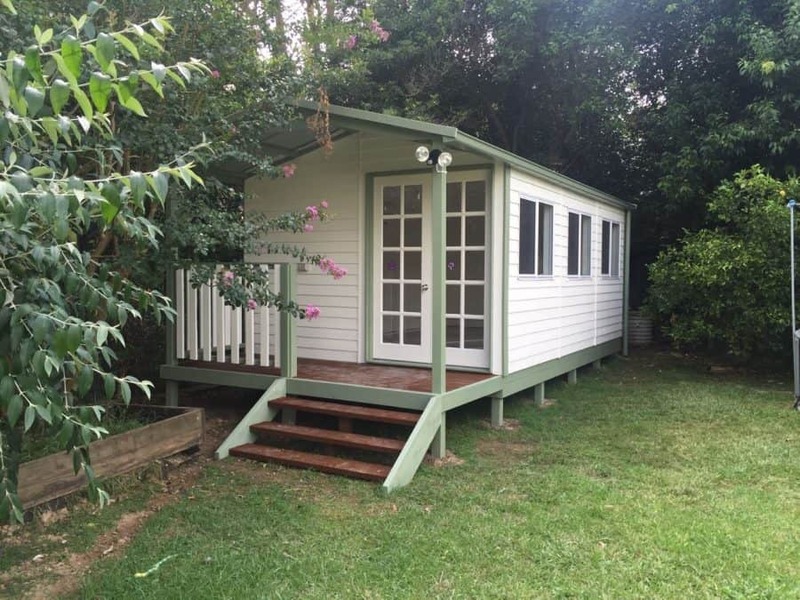 With the appropriate hook-ups, your backyard studio can be an exquisite guest room, complete with bathroom and kitchen facilities. A small kitchen can be lined up on one side of the studio, with under-counter fridge, hotplate or microwave. Nearby can be the bathroom with a toilet and small shower. Then, of course, you will need a bed. If space allows, add a small table with chair, or alternatively add a verandah for al-fresco dining. Your studio can be an office and a bedroom thanks to lofted space. Have your desk downstairs while providing a bed on a loft, reachable by ladder. This is a great idea for hosting business guests or for teenagers. Whatever the weather, you can enjoy al-fresco dining from the comfort of your own backyard. The studio itself can be a small diner. Add a covered verandah for a barbecue and extra tables and chairs for some outdoor dining. This will be a hit at parties! 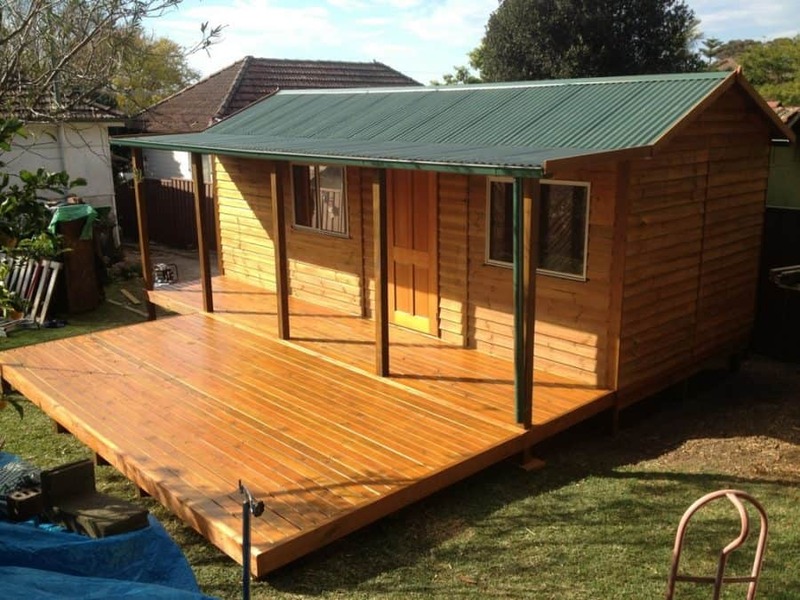 No matter how you choose to use your backyard studio, you can be sure that it is constructed with the highest-quality, sustainable Australian-sourced materials. Our studios range in sizes from 8sqm to 20sqm, allowing you to choose the perfect space needed for your creation.